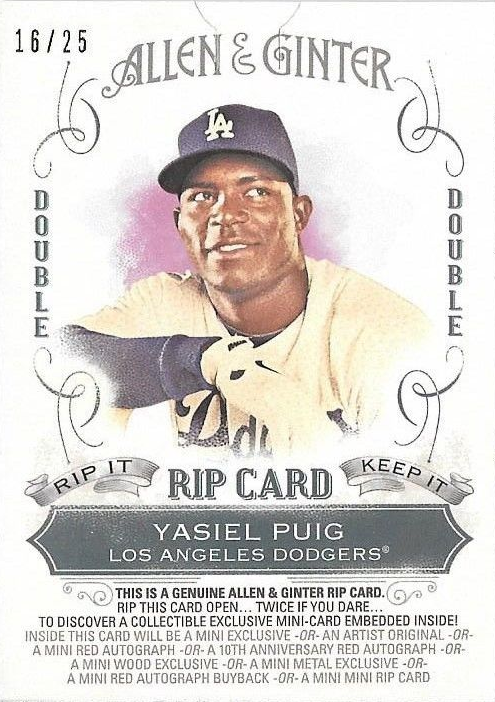 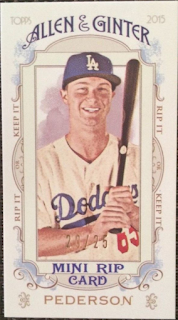 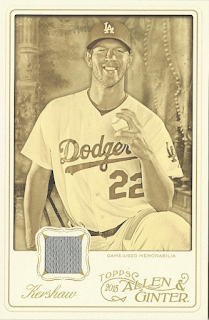 Here is a last look at the Dodger cards found within packs of 2015 Allen & Ginter. 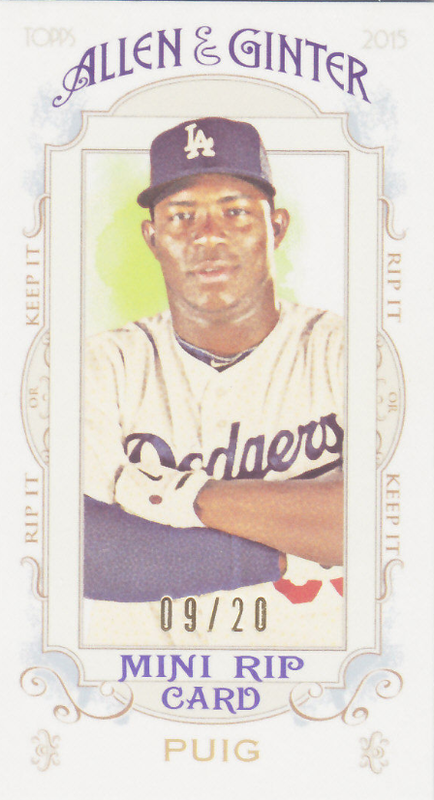 Go here to check out all of my previous post on this set. 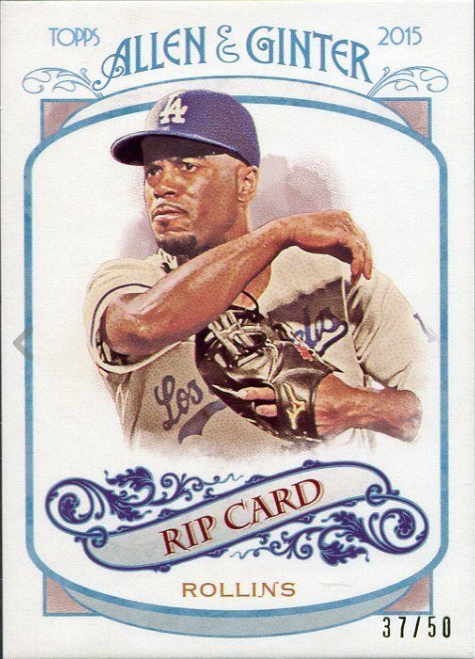 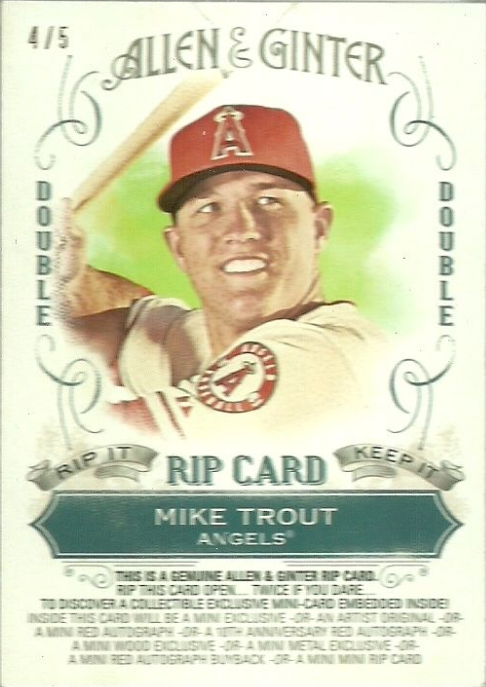 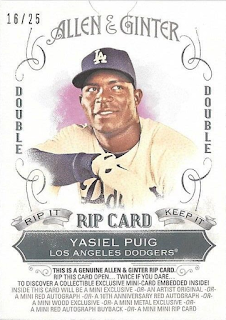 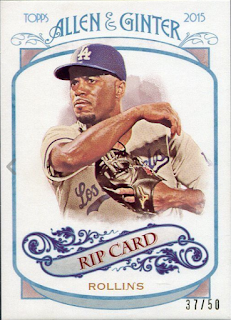 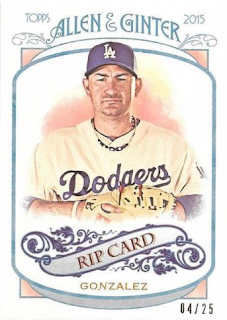 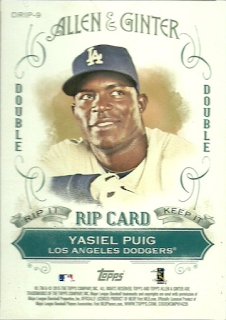 Featured directly below are the Dodger RIP cards. 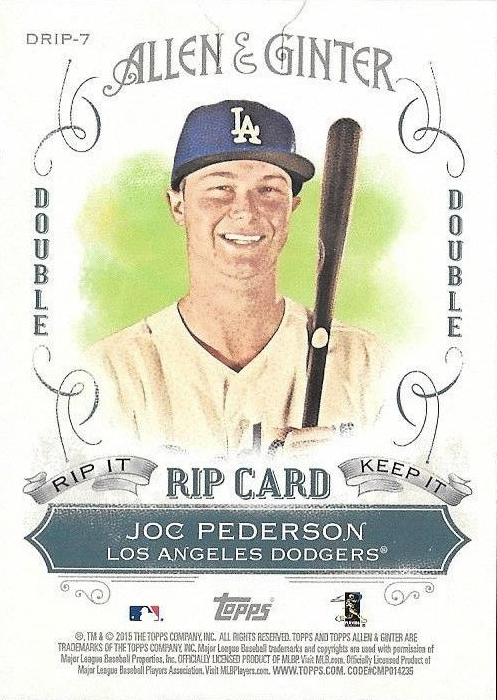 There are single, double and mini RIP cards available. 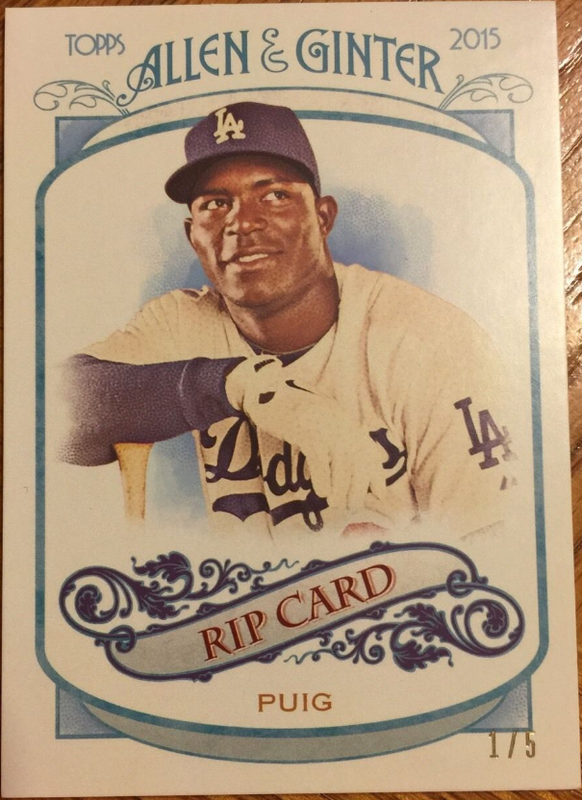 As the name suggest, there is a card hidden within that has to be ripped out, via a tab at the top. 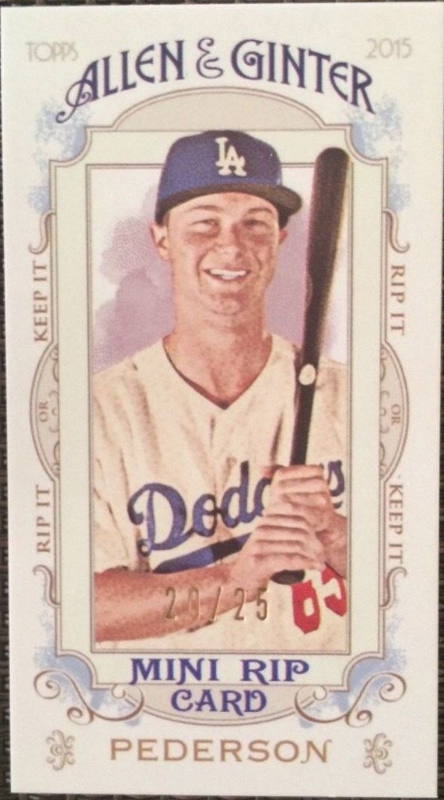 These hidden cards are typically scarcer and more sought after in the hobby. Of special note are the mini-RIP cards that has an even smaller card hidden within it (typically numbered #/2). 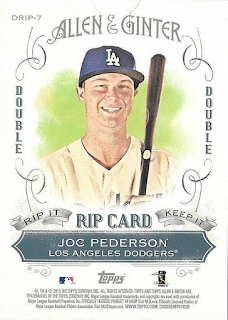 You can watch a Rip card getting ripped here. There are two Dodger players available in the "Artist's Originals" set. 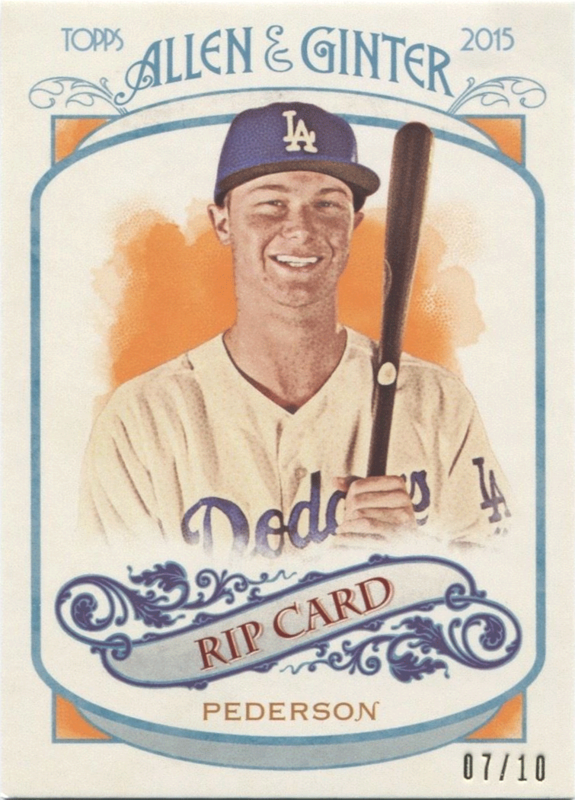 They are all original drawings. 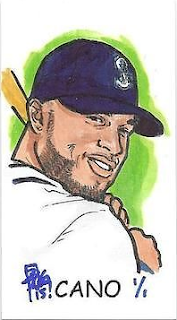 So far only a handful have appeared online, and they are of works done by noted comic artist Brian Kong. I am unsure if other artist contributed to the set. 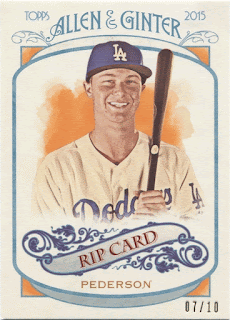 Unfortunately, neither the Kershaw or Puig cards have surfaced. In lieu of those cards, I have included pics of the Cano and Posey drawings to show you what they look like. 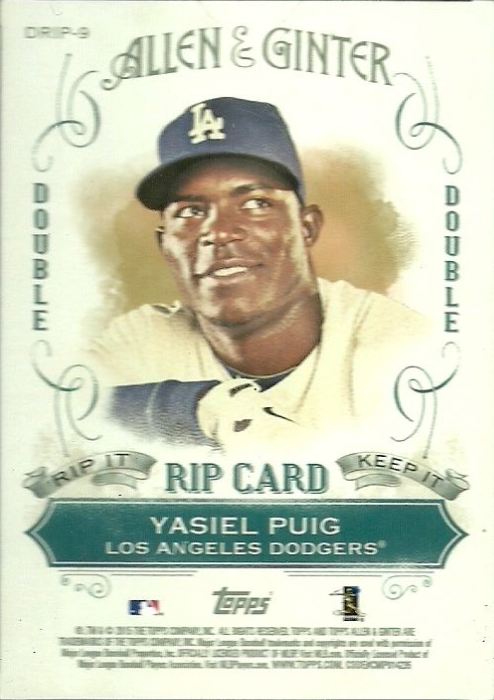 The Box Loader cards below are all super-sized cards that are randomly inserted into hobby boxes.